It seems to have gone on forever. But really, only for about a decade. 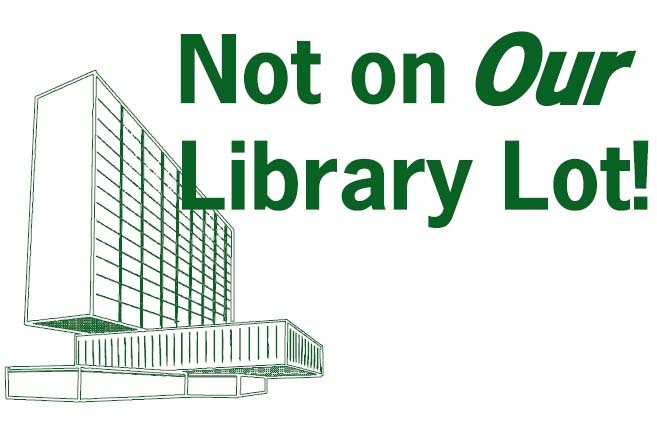 Now here we are, once again deciding on the fate of the Library Lot – that small precious piece of real estate next to the Ann Arbor District Library. Rendering of proposed Core Spaces building as proposed to Council. The Ann Arbor City Council will vote on this resolution on April 17, 2017. It either will or will not award development rights for the Library Lot (retaining ownership of the actual land) to Core Spaces, which describes itself as “a full‐service real estate development, acquisition and management company”, and further identifies its target markets as “educational”, in other words, student-oriented. The result will be a 17-story building, bigger than anything we could have imagined 10 years ago. Feelings are running high and the volume of email to Council must be stupendous. Just to make the drama more intense, because the resolution disposes of city property, it requires 8 of 11 Council votes (counting the Mayor). Three CM have made their dislike fairly public (Eaton, Kailasapathy, Lumm). So each one of the remaining 8 can be the one to make or break the deal. It is generally understood that Mayor Taylor favors it. Are all the rest committed to support it, in the face of a great deal of public opposition? Some, especially those who are new to Council or up for re-election, are likely feeling the heat. Why is this so important to so many? 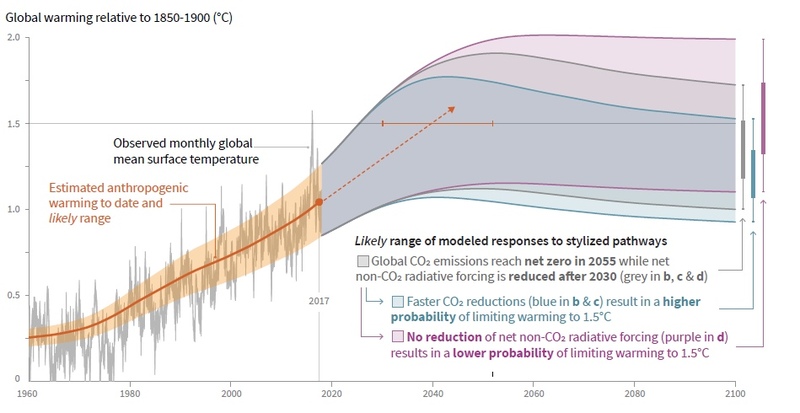 Its importance (as measured by heat and light generated) is far more than most tall building development projects downtown. There are many facets to the issue. But most of all, this decision is symbolic about the direction that Ann Arbor is headed. In many ways, it is a battle for the soul of Ann Arbor. The battle for the future of Ann Arbor has been the underpinning of our politics for over 10 years. One could argue that it began with the election of John Hieftje as Mayor in 2000, or the renewal of the DDA Charter in 2003. 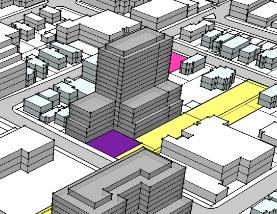 That launched an emphasis on downtown development that has changed not only the appearance of Ann Arbor’s downtown, but its perceived purpose and use. There was also a shift in the objectives for the city as a whole. We have often thought our city to be rather special, in a community-supportive, casually fun but also fairly intellectual, colorful but not in an overly contrived sort of way. 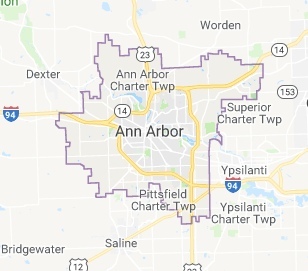 See our post, What Does it Mean to be an Ann Arbor Townie. In other words, a city to serve its citizens and welcome visitors on our own terms. But in recent years, a new agenda has been espoused by the majority on our City Council. 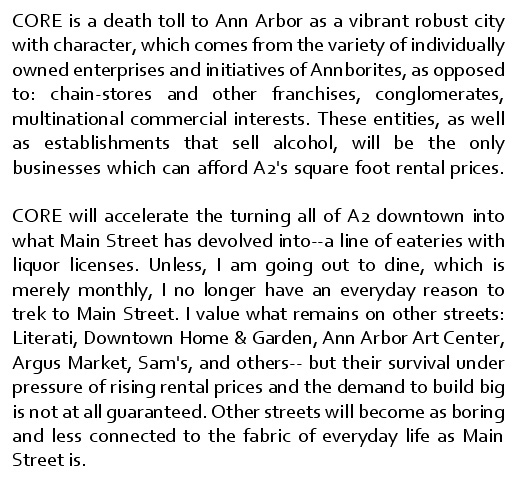 This is spelled out at length in The Placemaking Agenda and Ann Arbor Politics. Briefly, it is to transform the city into a cradle of entrepreneurship and enterprise, especially by attracting “talent” (young people who can start or sustain high-tech enterprises). 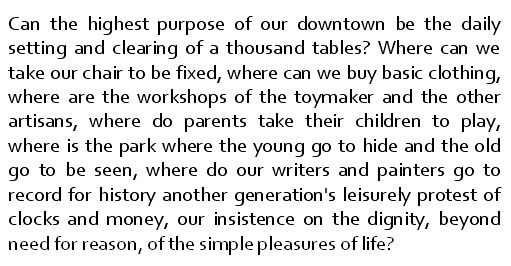 Much of this is based on the concept of the “Creative Class”, as described by the urbanist Richard Florida in his 2002 book. As techies, professionals, and the rich flowed back into urban cores, the less advantaged members of the working and service classes, as well as some artists and musicians, were being priced out….I found myself confronting the dark side of the urban revival I had once championed and celebrated…As the middle class and its neighborhoods fade, our geography is splintering into small areas of affluence and concentrated advantage, and much larger areas of poverty and concentrated disadvantage. America today is beset by a New Urban Crisis. If the old urban crisis was defined by the flight of business, jobs, and the middle class to the suburbs, the New Urban Crisis is defined by the back-to-the-city movement of the affluent and the educated—accompanied by rising inequality, deepening economic segregation, and increasingly unaffordable housing. Sure enough, a graphic from the article shows that Ann Arbor is #11 on his “Urban Crisis Index”. 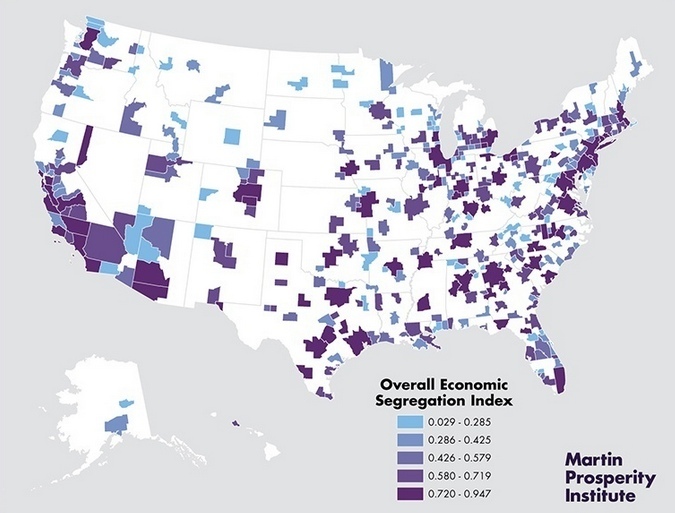 Do increasing economic inequality, loss of affordability in housing, and racial/class segregation sound familiar? Washtenaw County paid good money a couple of years ago for a consultant to tell us this about ourselves. So, Ann Arbor is succeeding as a business proposition. Is it losing what makes it successful as a place to live? As a community in the whole? So what does the Library Lot have to do with all this? Because the Library Lot belongs to the entire City of Ann Arbor, and thus presumably its public, and because the project is so wildly out of scale with the downtown historic districts that supposedly make our downtown successful, not to mention the residential neighborhood immediately to the south, and because while this is a public asset, the benefit to the Ann Arbor public has not evidently been a consideration. (No public process has been employed to arrive at this use.) 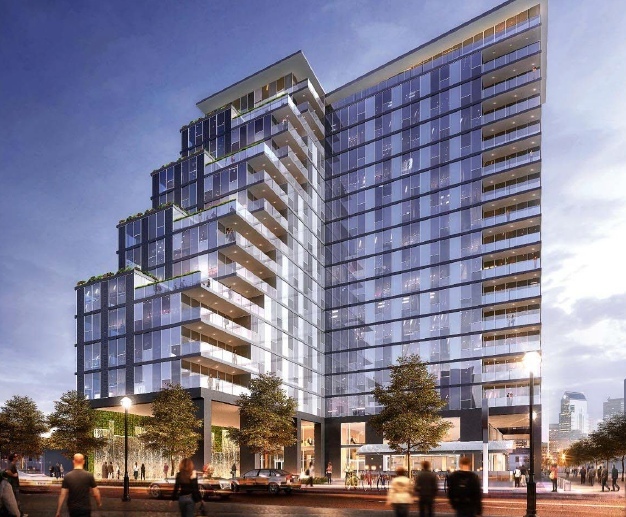 For all these reasons, the debate has been more passionate than for other downtown projects. The Ann Arbor public continue to assert ownership. For that reason, it stands as a symbol of the decisions to be made about our downtown, and thus our city. But many other interests have eyed this choice little bit of real estate for particular ends. The DDA has had a single-minded intent to increase the magnitude of development in the downtown, generally. A group of influential insiders put forth a plan as early as 2008 to build a hotel and conference center on the lot, with the DDA’s assistance. The Library Lot Conference Center controversy and battle is recorded in this series of posts. The effort was finally killed by Council resolution in April, 2011 after a public campaign by concerned citizens. Meanwhile, the DDA had constructed an underground parking structure in which part of the structure was specifically reinforced to support the intended hotel. Projection of desired building density (700 F.A.R) for Library Lot in DDA study, 2013. Purple area is unreinforced “plaza”. Things slowed down for a bit while the Ann Arbor District Library planned to build a new library. The new building would not have been on the Lot (the current building would first have been demolished) but doubtless the Lot would have been used for staging. However, that bond proposal was defeated in November, 2012. 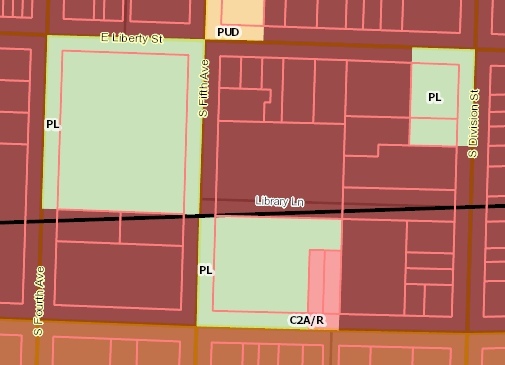 The DDA sprang to the task of planning the immediate area in a project called “Connecting William Street”. They used a pseudo-public approach (online surveys, public meetings) which unsurprisingly arrived at the conclusion that a tall building was needed on the lot. The plan met with derision in some quarters and the City Council declined to adopt it. It was added to the “resource documents” for the Planning Commission in March, 2013. In a memorably feckless act (thank you, CM Kunselman), Council passed a resolution in April 2014 to hire a real estate broker. They put the Lot up for sale. 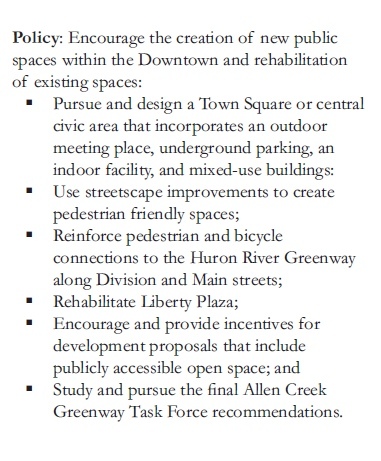 Although the resolution cites the Connecting William Street project, no further effort was made to establish what the Ann Arbor public saw as the best use for this site. Further, it accepted the notion that the reinforced portion of the lot would be used for building. So here we are. The Calthorpe process, 2005, is often cited as demonstrating that there was a public process followed for the fate of this parcel. There was a report on Downtown Development Strategies issued (many recommendations have been ignored). It does not make a specific recommendation on the Library Lot. However, it calls for building height to be stepped down toward the residential neighborhoods, especially that last block before William. And it calls for a Town Square. ADDENDUM: The Library Lot was briefly, but seriously, considered as a site for a new City Hall, a.k.a Municipal Center, in 2006. Here is the task force report. Community Security and Public Space 2006 The report specifically notes the importance of “an outdoor gathering place” and put the Library Lot high on the alternatives for a new Municipal Center that would include a public space. The deal has serious implications to downtown parking. It would give away a substantial part of this expensive structure to a private enterprise. (Some historical details are here: note we will be paying interest for many years to come.) There are also legal questions that have not been satisfactorily answered. Read it here. Finally, it will reduce access to downtown by its customers. Downtown business organizations have objected. 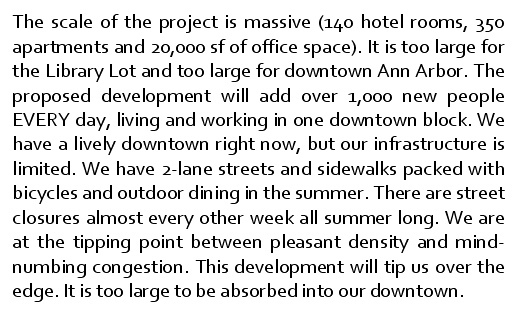 Note that these comments are all about quality of life and the viability of our downtown businesses. There is a concern about the resilience of this part of our community, and of course the Downtown is still the center of town, and a location that affects us all. If Council does vote to approve this deal, they will be going against the express wishes of a substantial number of their constituents. Based on comments in the media, it seems that they are dazzled by the cash offer. A complication is that it will supposedly be an assist to “affordable housing”. But the benefits in that regard are modest. (One scenario even has the City paying over a million dollars back in order to obtain more units.) We have not really had a city-based discussion about what we want in “affordable housing” or what our best means of achieving that are. It seems imprudent to sell off one of our choicest assets for this purpose, especially since so many questions persist about the effects of the parking on both businesses and city finances. If our city finances are so challenged (and they do not seem to be) we should be looking at savings or new taxes instead of selling off our real estate. Or – is Council going to go ahead with this because of the dogma of dense development? In that case, are they considering the health of our present community? Or are they aiming for a different one? If the latter, they’d better consider more carefully the consequences of their actions. A city is a complex ecosystem. The Council has a solemn duty here. I hope that they vote to preserve our community. It has so much good, still. ADDENDUM: Here is the Ann Arbor News preview of tonight’s vote. “And the consequences of whichever way the council votes could last for generations.” Yup. UPDATE: The Council voted to sell the lot, 8-3. All the usual suspects voted as anticipated. Here is what Mayor Taylor had to say about it. But the story is more complicated than it appears at first and there are some questions. Washtenaw County’s ordinance is the only such regulation in the State of Michigan. As explained in this memo from Water Resources Commissioner Evan Pratt to the Board of Commissioners’ Ways and Means Committee last May, the existence of Senate Bill 853 was already understood at the time the BOC passed the ordinance. Senate Bill 853, currently pending in Michigan legislature, seeks to withhold local government authority to regulate “auxiliary containers,” a category within which carryout grocery bags falls. 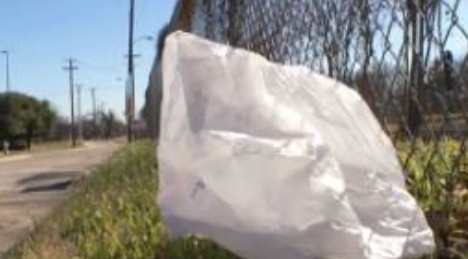 If SB853 is adopted by the State of Michigan, it would act to preempt a County bag ordinance. Washtenaw County seeks to retain its local authority to regulate the material in furtherance of its duty to optimally manage solid waste within its geographic boundaries, and to increase Washtenaw County’s recycling and waste economy to full extent possible. The motivation for adopting an ordinance in the face of a likely preemption by the State is unclear. Are we trying to make a point or hoping that it will survive to be enforced? 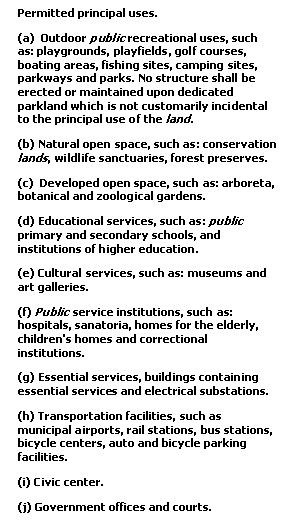 That expression about “seeks to retain its local authority” seems to argue the first. In spite of most indications, the ordinance is not just about plastic bags. It also applies to paper bags. The proposed bag ordinance is not a ban. And it sanctions disposable paper bags just as much as plastic bags. This although almost all the educational material about the ordinance specifies plastic bags. The slide show on the ordinance given to the BOC in a work session is all about the hazards of plastics. The memo that accompanied the resolution stated that it was about “a policy to combat the problems caused by excessive plastic bag waste in our community”. The resolution setting the public hearing on the ordinance mentions only plastic bags. And yet the ordinance cracks down just as hard on paper grocery bags. Did the Commissioners know what they were passing? Now, it is hard to love plastic grocery bags. They are ugly, consume valuable unrenewable resources, are a hazard to animals, glob up machinery of recycling plants, and last longer than the human race. They actually cost the County and other units of government money. They are difficult to recycle even when collected. Surely no one who cares could object to banning them, and in fact this was a very popular idea. Paper grocery bags are another matter. Many of us reuse these bags many times or at least once. They compost. They are recyclable. They are most often made from recycled paper. No, they are not a “zero footprint” item but just not in the same class as a plastic bag. Besides, that is not how this ordinance was being sold. Yet, they are being treated exactly the same as plastic bags in the ordinance. The indication is that customers should bring reusable bags (most often cloth). The whole enterprise has a rather unpleasant air of bait-and-switch. Don’t like plastic bags? Fine, and also you can’t use paper bags (hidden in the fine print). It suddenly seems to be about money. Here’s what the ordinance does. It imposes a ten cents fee on the consumer for each plastic OR PAPER bag used. Of that, 8 cents goes into a new fund (the Stewardship Fund) that the County has created. The retailer gets 2 cents, which is to be used only for enforcing the ordinance. There are also civil infraction fines for retailers who do not cooperate. What this does is to create a monetary incentive for the County for consumers to use plastic bags (or paper). You rush into Meijer to buy some milk and bread. Cashier says “it’ll cost you 10 cents per bag”. You say, “whatever”. Out the door. It actually incentivizes the retailer to keep on providing these bags too. I can’t imagine the County sending around deputies to check on the quality of their environmental education efforts. The cost to the retailer for providing plastic bags is less than for paper bags, but they get to keep the same fee. So how effective would this have been in preventing use of plastic bags? My estimation is, not very. If your budget is very, very tight, you might sweat those couple or five dimes. Or you might remember to bring bags whenever you have a big shopping to do. (As far as I can tell, no forgiveness for simply reusing old paper bags, either. 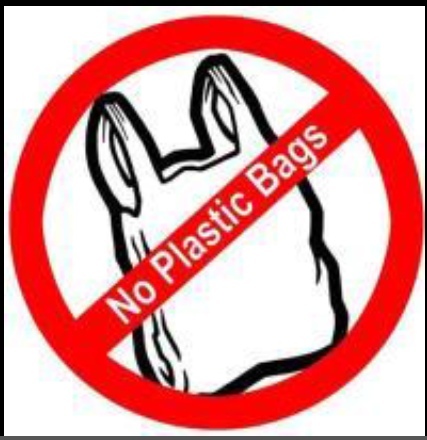 The ordinance imposes conditions on the “reusable bag” that may be used.) Mostly, it would just be an additional cost that most consumers would pay at checkout. And money would go to the County. It is hard to escape the thought that this might be a way to raise revenue for the County’s solid waste endeavors as much or more than actually changing behavior on bags. Those fees would add up. 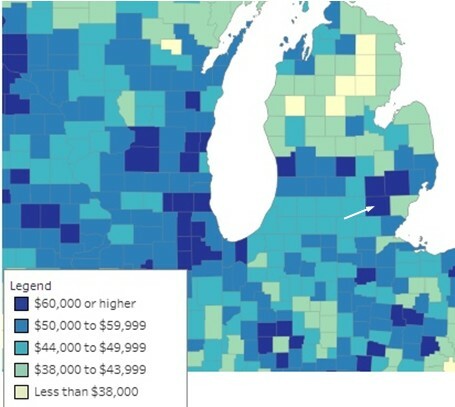 Do you know how hard it is these days for counties to get money? And the Washtenaw County solid waste program used to be dependent on tipping fees from the Salem Township landfill. I don’t know how that is going these days. By the way, I think the fees may not have passed the test of the Bolt decision. Michigan municipalities are not supposed to impose new fees unless they are related to the delivery of a specific service. I don’t see how this qualifies. One of those sticky only-in-Michigan constitutional issues. What might have worked? There are many examples around the country. If the County could have simply banned use of plastic bags (and it does ban some things, like smoking in workplaces), that would have achieved the stated objective more simply and effectively. For reducing waste due to paper bags: many retailers even now give a 5 cent credit for each bag you bring in. Depending on the market, they could increase that to 10 cents and raise their prices slightly. That is essentially the same as charging 10 cents for use of a new bag. Good legislation should achieve its stated goal without being any more intrusive than necessary. This did not pass the test. Meanwhile, let’s lean back and blame it on the Republicans. They probably deserve it. So Where are We Now with Ann Arbor’s Deer? The last three years have been the Early Period for Ann Arbor’s deer debate. Now there is a coherent plan for deer management and a page containing historical documents on the Ann Arbor City website – quite a long story. We posted extensively about this issue through 2015. Those posts and other articles and resources may be found on our page, What Do We Do About the Deer. 2017 will be busy. In a special session on November 14, 2016, Council approved several resolutions to make the management plan operable. According to the Ann Arbor News, officials are still awaiting permit approvals by the Michigan Department of Natural Resources (DNR). Maps showing where a sterilization program will be conducted have also been published. For several decades, the white-tailed deer have been appearing around the edges of the city. But as of early 2014, they became numerous enough to be real pests. As the numbers of the animals began to intrude on more and more human lives, there was an organized effort to limit their effects on gardens, natural area vegetation and automobile crash incidents. Their impact on parks and natural areas in Washtenaw County was recognized by the WC Parks & Recreation Commission in early 2014. In May 2014, Ann Arbor’s City Council directed the City Administrator to prepare a report on deer management in partnership with other entities. Numbers of DVCs in Ann Arbor City between 2005 and 2015. Source: Michigan Traffic Crash Facts. As the account in the Ann Arbor Chronicle about that Council meeting indicates, one impetus to raising the problem of the increasing deer population was the slow increase in the number of deer-vehicle crash incidents. These are reported in Michigan via a website, “Michigan Traffic Crash Facts“, whose data is from safety (law enforcement) personnel. (There is always a delay after the end of a calendar year in publishing the totals for the previous year, so as of today’s writing we must wait for a couple of months before we know the totals for 2016.) By 2014, DVCs in Ann Arbor had increased by 30% from the previous decade. Last year, there was a major jump in numbers of crashes. We’ll be watching to see if 2016’s number indicates a trend or that this was an aberration. A single doe and her offspring over 5 years. Males are not shown. So why do we need a deer management program? Because of their explosive reproductive capability. 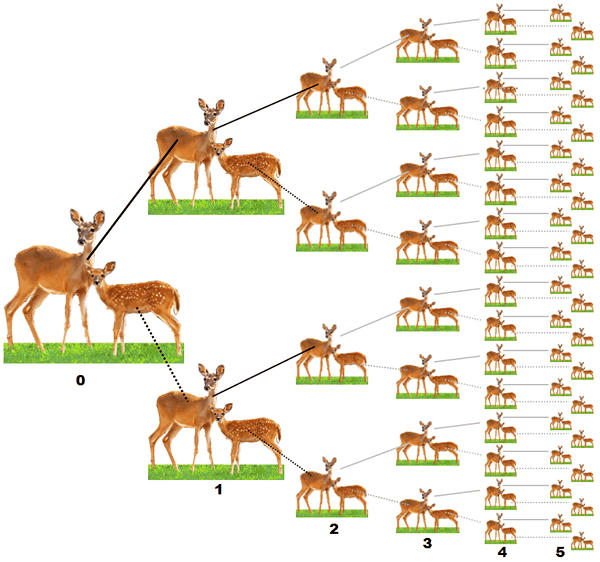 As we explained in detail in our post, Deer and the Numbers Explosion, deer will increase their numbers exponentially if left unchecked. In the early years, one only notices that there are more deer around than in the past. Suddenly 10 deer are camping out in your backyard. This increase in numbers has many effects on the immediate territory. 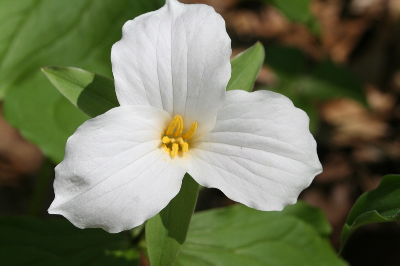 The common white trillium is used as an indicator of deer herbivory. Photo by B. Ball, courtesy of the UM Herbarium. Plant herbivory: Most plants (or at least their edible parts) are consumed. This causes damage to gardens and landscapes, and natural areas where native plant communities are being maintained are severely altered. As we explained in Deer and the Flowers of the Earth, wildflowers are beautiful and a source of delight for visitors, but they are also extremely important in the survival of the entire wild community. Plants are “foundational” in a wild ecosystem and without them, nothing lives, even the deer. Fifth Ward councilmember Chuck Warpehoski has expressed this beautifully in his recently updated post. 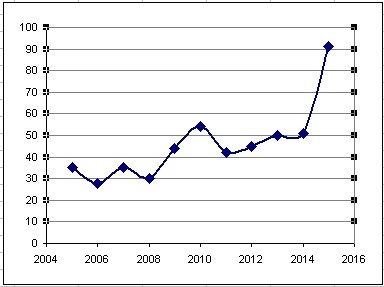 Deer-vehicle crashes: As we have already noted, DVCs increase with increasing population. To date, we have not had any crashes locally where a human has been killed, but there has been considerable dollar damage to automobiles and the potential for human injury is certainly there. Lyme Disease: Deer have a complex relationship with this disease. They provide a blood meal for black-legged ticks, the vector for this bacterial disease, and help carry the tick into new territory. Also, their plant herbivory often favors an understory full of Japanese barberry. Deer don’t eat this thorny shrub and it provides an ideal habitat for the white-footed mouse, the main host for the tick. Mice multiply under the canopy of the low shrub and help carry the tick and its bacterial rider into new territory. 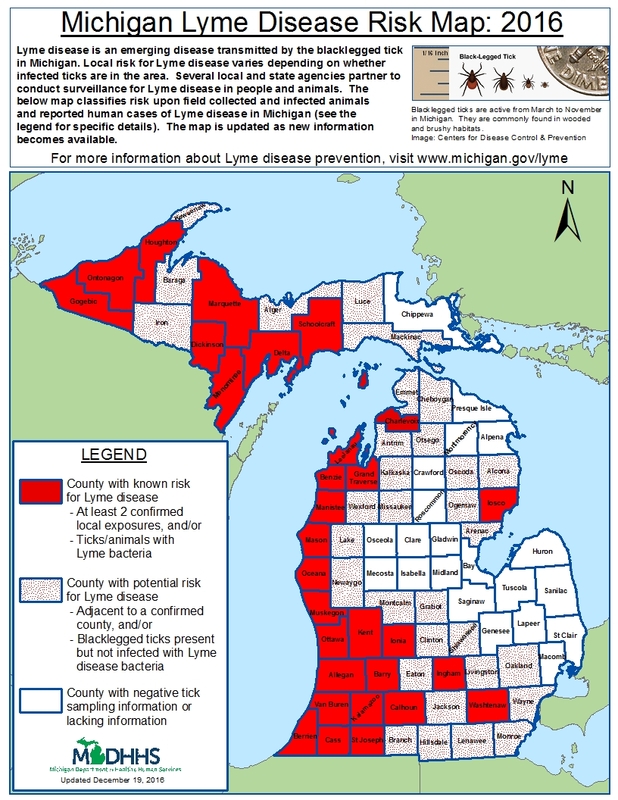 Lyme disease is known as an “emerging disease” in Michigan. It has been moving into new areas of the state. When the deer problem was first highlighted in 2014, it was thought to be a couple of counties west of Washtenaw. Now there are recognized cases in our county. We are all at risk. I hope that our governments provide adequate education so that people can recognize the disease and seek immediate treatment. Here is a good place to start. UPDATE: The City of Ann Arbor has now posted an explanation of the 2017 deer management program. A somewhat more easily accessed account was published by MLive. Here is the deer management map. Note that some residential areas are targeted for participation in the nonlethal program. Also note that without fanfare, some UM properties have been included in the lethal culling program. SECOND UPDATE: The University of Michigan made some of its properties available for the cull for the first time this year, eliciting some cries of anguish from the opposition. Here is an explanation from the University Record of the program from the UM perspective. THIRD UPDATE: On March 8, 2017, there will be a lecture program addressing the problem of deer herbivory from an experimental and data-oriented viewpoint. The two presenters are both experienced with direct testing of deer-wild flora interactions. Jacqueline Courteau is a wildlife biologist and consultant, and Paul Muelle has been the manager of natural resources at a major park (Huron-Clinton Metroparks) through a time that culling and vegetation assessment have been practiced to maintain the parks’ resources. Here is the full announcement about the talk. It will be at the Matthei Botanical Gardens, 6:45 p.m. on March 8. The City of Ann Arbor is soliciting feedback from residents about the deer management program. The questions are simple and direct. (Apparently this year the City sought some expert advice.) It doesn’t take long. The survey is important because it will provide data not only about attitudes but also the actual experience Ann Arborites have had with deer. 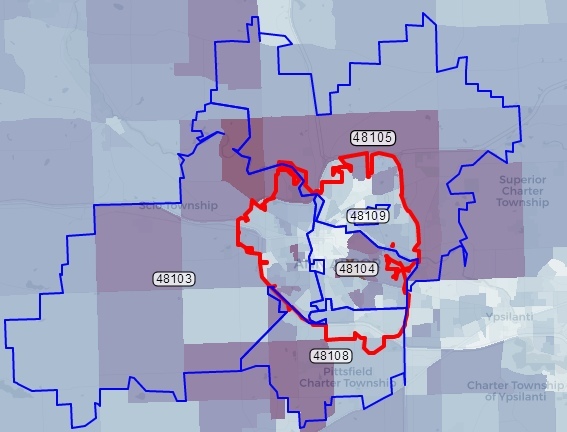 These data will be valuable in assessing the deer-human interface – an important question when trying to estimate what population of deer in the city is too much. The survey also contains questions about methodology – a lethal cull as was conducted this year, or an experimental approach using contraception. Here is the announcement of the survey, with a link to open it up. You’ll need to register with Open City Hall in order to have your response counted. The deadline for answers is April 29, 2016. Hurry! Note: A compendium of blog posts on this subject, reports from other media, and general reference material is found on our page, What Do We Do About the Deer? This summary page is updated continuously.